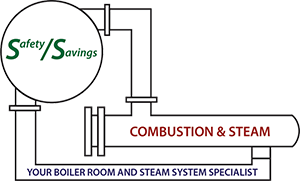 SS Combustion and Steam - Your Boiler Room & Steam System Specialists! SS Combusion and Steam – Your Boiler Room & Steam System Specialists! Your Boiler Room & Steam System Specialists! All makes and models, Specializing in energy efficiency upgrades. Steam trap audits, steam and condensate system audits, air system audits. We identify all the deficiencies and can repair them if needed. Black pipe to stainless, we can repair it all! We can handle all your mechanical needs. With over 20 years experience in boiler room and steam systems you can trust in us. We offer industrial and commercial services.